Buy Kingdom Hearts: King Mickey Head Knocker in India at the best price. Screenshots, videos, reviews available. 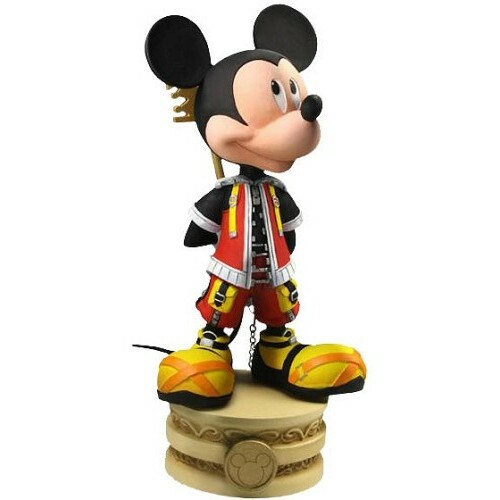 This Mickey Mouse bobble head is based on his look from the critically acclaimed and highly successful Kingdom Hearts video game. The resin bobble head stands over 5-inches tall, is highly detailed and accurate. King Mickey holds a keyblade behind his back that has an actual chain attached.